Relive and learn more about the first time in history where an encrypted message was sent and received. When then Secretary of State William Jennings Bryan called via the Transcontinental Telephone Line to congratulate the PPIE's Press Club on its April 3 inauguration, his voice was recorded using the Poulsen Telegraphone, another futuristic invention that appeared in the Palace of Liberal Arts. The Telegraphone was an extremely early incarnation of magnetic media (the technology used in tape recorders and computer disks) and could be used to archive telephone calls, serve as a dictating machine, or record music. "As one talks into the receiver a thin steel wire is magnetized at the actual point of contact with the needle. The wire...runs between two small revolving drums, which will take down 75 minutes of continuous conversation." Danish inventor Valdemar Poulsen had won a gold medal with an early Telegraphone at the Paris Exposition in 1900, and an updated model was shown at the PPIE.22 Legend implicates a German-built Telegraphone in a precipitating moment in the United States' eventual involvement in World War I, the sinking of the Lusitania. An amateur radio operator named Charles Apgar was experimenting at his wireless station in Westfield, New Jersey, when he was asked by the Secret Service to record unusual transmissions from the wireless station of German company Telefunken in Sayville, New York-transmissions that were likely sent by a Columbia Type C Graphophone. When these signals were decrypted, they were found to be military instructions, including the alleged order to a German U-boat to sink the Lusitania. The supposed order, never confirmed or denied, was "Get Lucy." 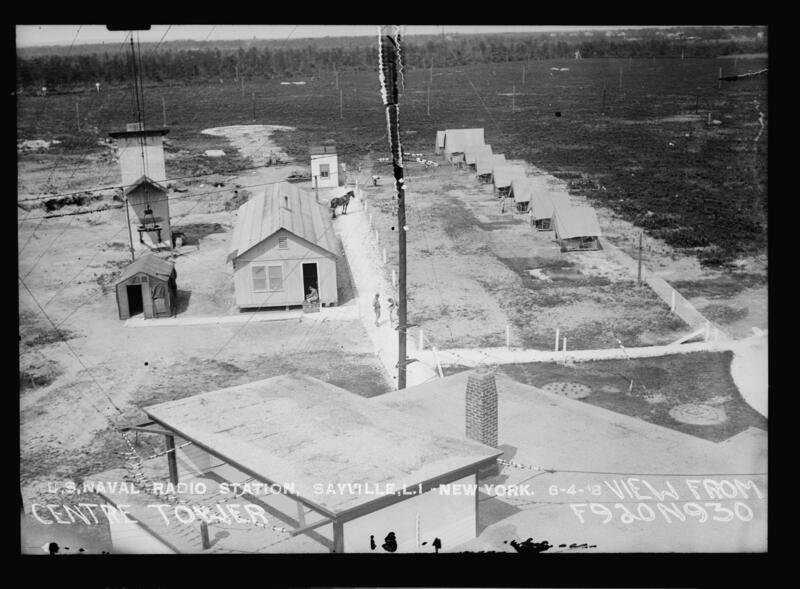 The US government seized the Telefunken station on July 6, 1915, on the strength of Apgar's evidence. The steel tape ramification of magnetic recording seems to have been of particular interest to AT&T. Although their interest in magnetic recording was declared not an AT&T business objective, I personally saw steel tape playback units used in AT&T's overseas radio station for Miami at Fort Lauderdale, Florida. In that use, vertical steel tapes ran in a glass-enclosed cabinet about 6 feet high over flat brass rollers to endlessly play back the message heard by so many on HF radio over the years, "This is a test transmission from a station of The American Telephone and Telegraph Company. This station is located near Miami, Florida." Similar messages emanated from plants near New York and San Francisco for decades. ostensibly from those Telegraphone-like steel tapes. Obviously, by the 1960's, the later developments of Armour (since Marvin Camras' work in 1939), Brush and Ampex interests were mushrooming so as to overshadow any remembrance of the start Poulsen gave to the recording art. Along the way, there was a heinous incident in which Poulsen's conception figured. At the Telefunken radio long wave radio stations built around 1910 at Tuckerton, New Jersey and Sayville, New York, Telegraphones were found useful for first recording Morse radio messages at normal speed, then transmitting them at high speed on the radio link so as to gain throughput on their expensive, gargantuan international radio links to Germany. It just so happened that by 1915 Telegraphone-originated high speed transmissions raised the curiosity of radio experimenter Charles Adgar in New Jersey when WW1 was still a European war. Adgar, when one day playing back recordings of the US - German link, let the spring wind down on his Edison machine. Messages from Sayville became readable. 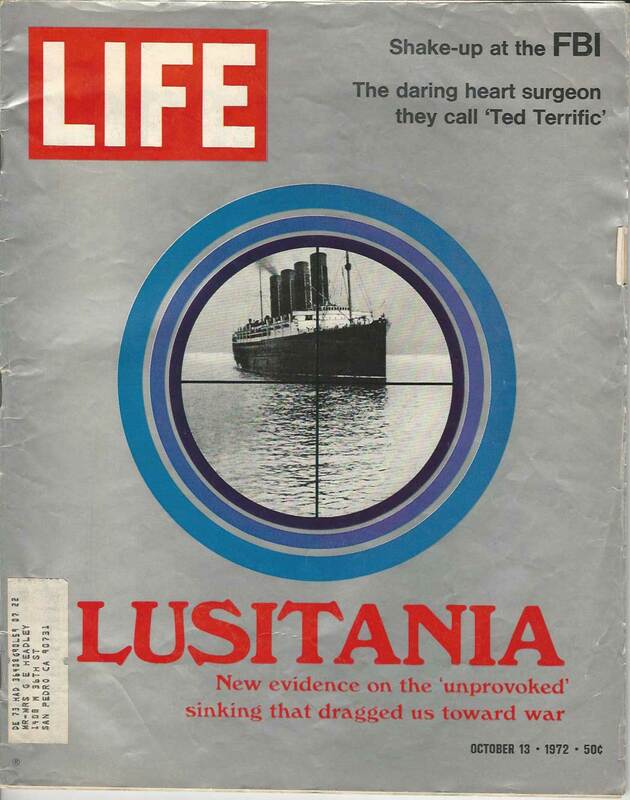 The inexperienced United States of America hardly knew what to do about a German-owned radio station sending the message on May 7, 1915 telling German submarine U-39 to "get Lucy," ordering the sinking of the passenger ship Lusitania. The U.S. Navy moved very slowly, first putting Marine guards around the Telefunken properties, then placing naval officers as censors in the stations. A minor scandal erupted when it was discovered the Germans were wining and dining young naval officers to keep them off their censoring jobs while sending coded messages to and from Berlin. A final straw was a copy of the infamous "Zimmerman letter," in which the German Foreign Minister encouraged Mexico to attack the United States, to divert attention from the European war. Poulsen's Telegraphone was regularly used in all these transmissions. On intercepting the Zimmerman message, the US Navy seized the Sayville and Tuckerton plants of Telefunken, ultimately expropriating them after the war. 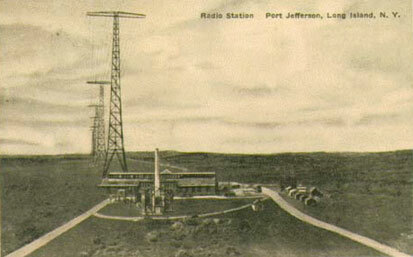 Finally, when GE and Westinghouse joint ventured the Radio Corporation of America, the stations were given to the new RCA as part of reparations for the war. Poulsen, who obviously knew of his machine's involvement in that action, may indeed have felt like our tragic hero, Doctor Frankenstein.